Are you an Australian Single Parent, newly separated or divorced and wondering how much Australian Child Support you will need to pay, or wondering how much Child Support you can expect? Australian child support is compulsory to pursue if you wish to claim Australian Centrelink Benefits such as the Parent Payment Single (This benefit is also known as the Single Parent Pension, Single Parent Payment, Single Mother Pension or Single Mother Payment. Should seeking child support from your ex partner or ex husband cause problems, for instance if there was family violence or domestic violence, then there are centrelink options available to you. You can obtain what is called a chid support exemption. You should approach child support and inform them of your circumstances and why you are seeking an exemption. They will then advise you of your options, be it a child support exemption or any other options. 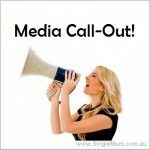 Australian Single Parent Facebook page, Twitter page or Australian Single Parent Mailing List?